Royal Caribbean International set the summer 2015 Europe itineraries for Anthem of the Seas, which will be based in Southampton upon its delivery in April 2015. The ship will operate 19 three- to 16-night cruises to the Spanish, French and Italian rivieras and the Canary Islands. In late October 2015, it will reposition to Port Everglades in Fort Lauderdale to operate five-, six- and eight-night Caribbean itineraries through April 2016. Europe bookings for Anthem of the Seas will open to Crown & Anchor Society loyalty members starting Feb. 26; winter 2015-16 Caribbean cruises will open for member bookings on March 12. 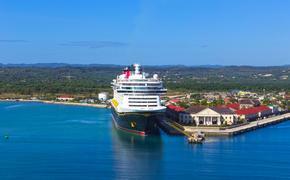 Bookings for the general public will open March 3 for 2015 Europe cruises and March 20 for winter 2015-16 Caribbean sailings. Royal Caribbean also announced that Adventure of the Seas and Brilliance of the Seas will be homeported in the U.K. in summer 2015. Adventure of the Seas will sail three- to 16-night round-trips to Northern Europe, the Mediterranean, and to Madeira, Azores and the Canary Islands. Brilliance of the Seas will reposition from Tampa to second U.K. homeport at Harwich, England, from where it will operate 12-night Scandinavia and Russia round-trips from mid-May through August 2015. A 12-night July 29 sailing will explore the Norwegian fjords and Iceland. Also, Serenade of the Seas will explore Northern Europe from Copenhagen, Denmark, and Stockholm, Sweden. It will sail seven- to 13-night Scandinavia, Russia and Norwegian fjord itineraries from May through August. The ship will sail from Copenhagen from May through June and in August, bookending sailings from Stockholm from mid-June through July. Bookings for Adventure of the Seas, Brilliance of the Seas and Serenade of the Seas will open on Feb. 26. 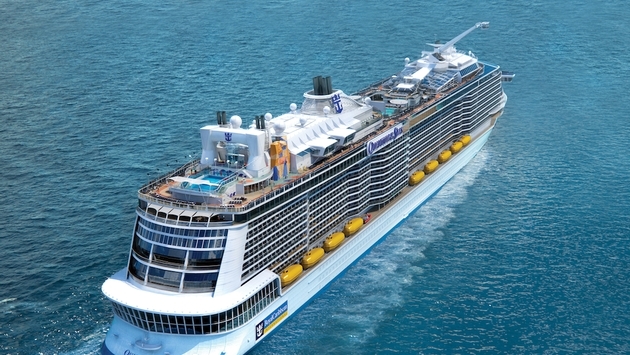 The 4,180-guest, 167,800-ton Anthem of the Seas will be a sister to the highly anticipated Quantum of the Seas. Both currently are under construction at the Meyer Werft shipyard in Papenburg, Germany. The ships will feature some jaw-dropping new innovations, including a sky-diving experience and the North Star, a 15-person capsule that extends 300 feet above the ocean and over the sides of the ship. The SeaPlex, an indoor sports and entertainment complex, will have bumper cars, roller skating and more. Quantum of the Seas will debut in October at its homeport of Cape Liberty in Bayonne, N.J.